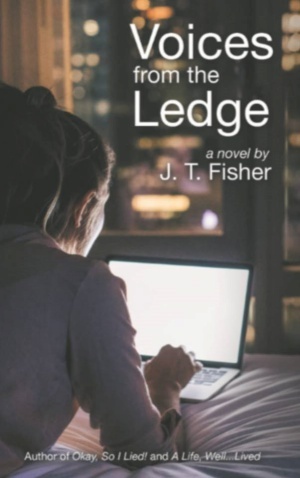 Featured Indie Book on Indie Author News: Women's Fiction Voices from the Ledge by J T Fisher. Voices from the Ledge is like a daytime soap opera, where you can lose yourself in the troubles and successes of the characters, but at the same time be inspired by them enough to do some soul searching yourself. The Book has been self-published via LifeRich Publishing and is available as eBook, Hardcover, and Paperback - 170 pages - released in December 2018. Have you ever felt so desperate or so depressed that you felt like giving up? Be honest. Now, did you ever say to yourself, “I’m probably worth more dead than alive”? Julie suffered from empty nest syndrome. She had been forced into early retirement while her husband had hit the pinnacle of his career. She was lost. What she didn’t know was that her desperation was normal. But Julie had a plan. She was going to end her misery; however, in the execution of it, a remarkable thing happened. At a hotel, she met four women who were on a girls’ getaway. They had a very strange impact on her. There’s a lot to chew on here, but with a good strong message and a unique outcome. - "It kept my interest. I liked the South Florida references. The characters were very real. I would recommend this book." 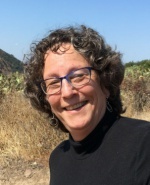 With a degree in journalism and a minor in theater and having spent an adult career in the not-for-profit world in public relations and development, where she did a lot of speech writing and created a lot of marketing materials, J T Fisher has finally been able to pursue her passion for writing with a purpose other than one for which she was assigned. In “Voices from the Ledge,” released in December of 2018, Judy explores the sensitive yet very timely topic of suicide as her main character deals with empty nest syndrome coupled with depression, leading her to falsely believe she has no more worth or value. Meeting other women in what she thought was her journey to the end, she discovers that her life isn’t so bad after all, and her new-found friends have an eerie way of imparting that to her. Judy’s ability to touch women and let them know that they are not alone… that other women have gone through and survived the same challenges and tragedies in life, make her light fiction uniquely approachable and loved.